Like anything groundbreaking and perfectly brilliant, Outlander is pretty hard to define. Perhaps we should simply call it what it is: flat-out awesome fiction. If you’re not familiar, Outlander tells the story of Claire Randall, a World War II nurse who accidentally travels through time to 18th Century Scotland and finds herself in the throes of Highland clans, sadistic redcoats and a Jacobite rebellion. Oh, and she also encounters the most perfect human specimen of all time, Jamie Fraser, who she just has to marry because, well, it will save her life. To date, the series spans eight massive novels and a series of spinoff books, and if you haven’t read them, you should really do something about that. Now. If you have read them, I don’t need to tell you why they’re so addictive—but let’s talk about it anyway, because we Outlander fans love to talk about all things Outlander, don’t we? In honor of Outlander Week–and the mid-season return of the epic Starz television series on Saturday–here are some of the things that make Outlander so unbelievably wonderful. 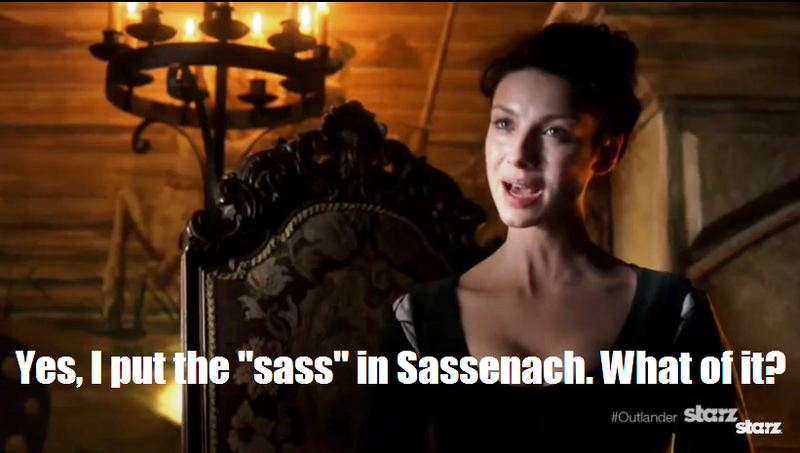 Claire Fraser is the best and that’s all there is to it. If we didn’t care about Claire, the whole series would fall apart, but we love this woman, and we root for her, and we’re pretty sure she could run the world if she had to. Claire is one of the toughest, smartest, most resilient and sassiest heroines in all of literature. She is able to survive anything. She can heal just about anyone with the right herbs and petals, she can earn the respect of a whole bunch of clansmen who didn’t know women had brains, and she can never, ever keep her mouth shut when it comes to something she believes in. I would read about Claire for 2,000 more books if I could. With Jamie Fraser, Diana Gabaldon created the dreamiest dreamboat of a hero anyone could ever—well—dream of, and in the twenty-plus years that she has been writing the books, he just gets better and better. And better. If I were in any sort of trouble, there is no one I would rather have at my side than Jamie and his broadsword. I wouldn’t even mind listening to his off-key singing, and I would happily clean up after his seasickness. And the man doesn’t know how to wink. How charming is that? A lot of great love stories end with the characters getting together, or getting married, or sometimes breaking up. (I’m looking at you, Gone with the Wind.) Outlander focuses on the real love—not just the romance—between its characters. 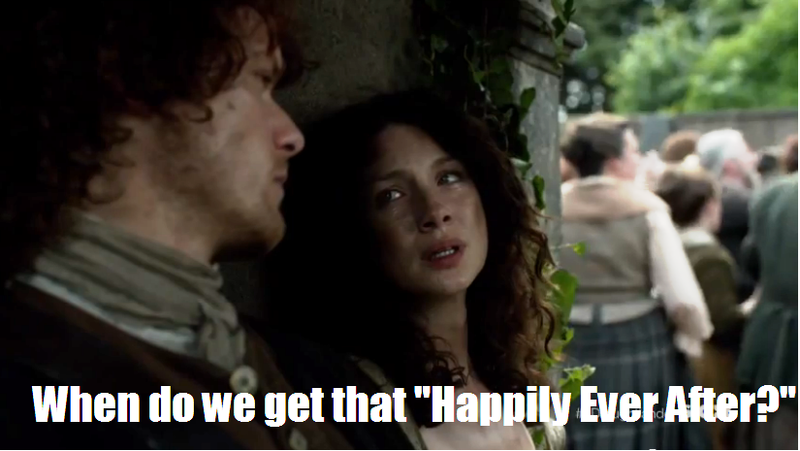 Jamie and Claire get married pretty much off the bat. That’s not what we’re waiting and hoping for. It’s the heart of the marriage, the partnership and yes, even the tough times, that keep the story going, and keep us coming back for more. Sure, riding off into the sunset is lovely, but setting your husband’s broken bones and tending to his infections? That’s love. 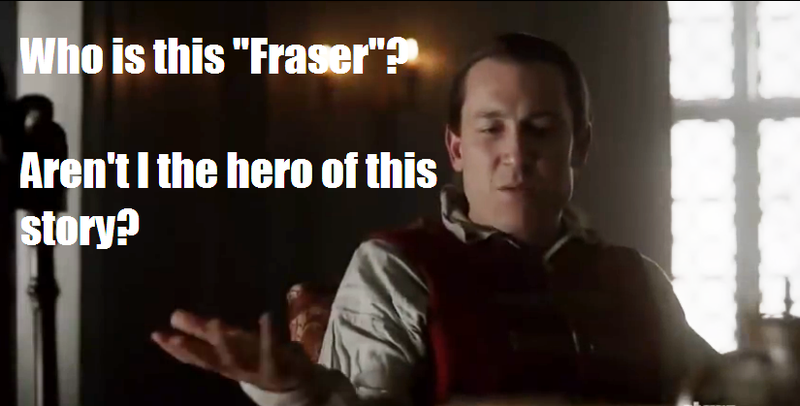 Jamie and Claire might be the heart of Outlander, but every character who comes into play makes it what it is. From the Clan MacKenzie and villainous Black Jack Randall to the characters we meet later down the line—like Brianna, Wee Ian, Fergus, and my personal favorite, Roger!—every character who enters this story is absolutely unforgettable. Every character feels like someone you’ve known forever, and every character stays with you. When someone new is introduced, I find myself asking, “Will I love this person as much as the originals?”—and after about five minutes with them, I’m totally obsessed. These books are jam-packed with history. If I were to go on Jeopardy! and there was a category on Bonnie Prince Charlie or the Battle of Culloden or Gaelic terms of endearment, I would go with a true Daily Double, that’s all I’m saying. 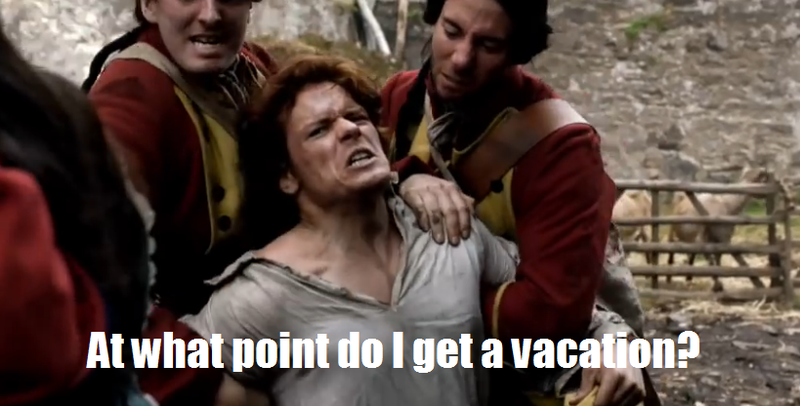 Outlander is not for the faint of heart. Terrible things happen to the characters we love, but it’s never gratuitous, and it’s never without repercussions. Even as I re-read the novels, I find myself with my heart in my throat, rapidly turning the pages to find out what’s going to happen next. (As if I don’t already know. As if it didn’t scar me enough the first time!) The strength these characters show—overcoming adversity after adversity—is spellbinding, addictive and just plain inspiring. I love these books, I love these characters, and I love the journey Diana Gabaldon continues to take us on. 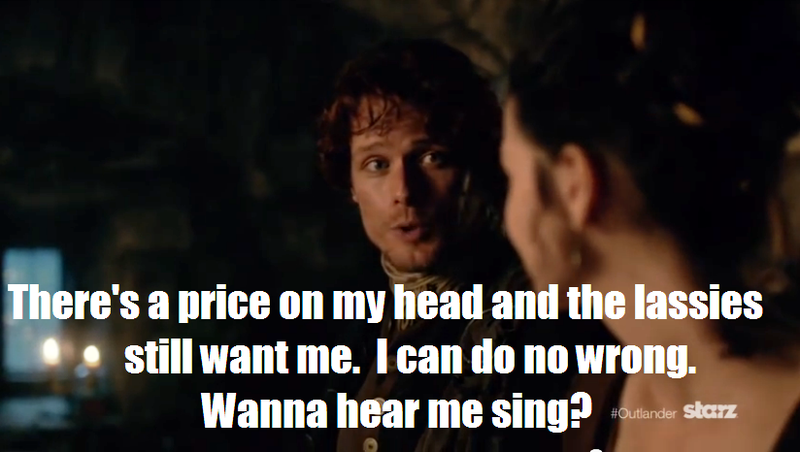 Oh, and one more thing: #JamieFraser4Life!!! Outlander fans, what do you love most about this timeless story? Be sure to like Book Perfume on Facebook for more Outlander Week coverage! 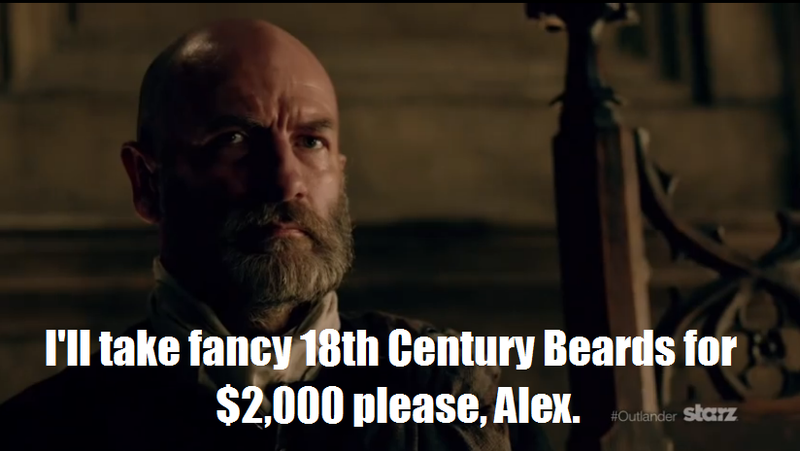 Miss any of our previous Outlander posts? They’re all right here. Four more days until Outlander returns on Starz! Love it! For all of the reasons you listed! Reblogged this on A Bookworm's Guide to Movies. I just got the first book yesterday! This post makes me even more excited to dig in! You’re in for SUCH a treat!!! Warning: once you start, it’s completely impossible to think about anything else!